Lift, push, bend, spread, press and straighten with ease when you have the 20 ton bottle jack. Conveniently unaffected by temperature extremes, it works in an upright, angle or horizontal position. It has an electrically welded base and cylinders to assure strength and eliminate leaks. 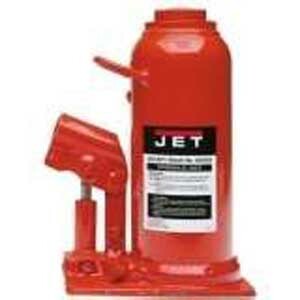 It also comes with a pump handle and complies with ANSI/ASME B30.1 and PALD-1 standards.